Council Grove - Dr. Philip A. Phar, 81, of Council Grove, Kansas, passed away February 7, 2019 at Stormont Vail Hospital in Topeka, Kansas. He was born June 27, 1937 in Mount Carmel, Illinois, the son of Ross and Vivian (Wilkinson) Phar. Phil graduated high school in 1955, received his B.S at the University of Illinois in 1959, he received his M.S. at the University of Kentucky in 1961, and his Ph.D. at the University of Kentucky in 1967. While at graduate school, Phil met and subsequently married Margaret "Peggy" Price. Their first child Matthew was born. In early 1967, the family relocated to Manhattan where Phil began working for Kansas State University in the Animal Sciences Department. His love for animals and an interest in improving their health and welfare led to his career choice. Cattle and horses were his great love. Phil and Peggy had their second child Justin. In 1972, Phil moved his family to Scott City, KS, where he started his Cattle Nutrition business, Phar Inc. Phil grew the business and raised the family in Scott City. During this time, Phil also formed Blue Stem Cattle and Mineral Inc., with his longtime friend and business partner Kenny Berg. 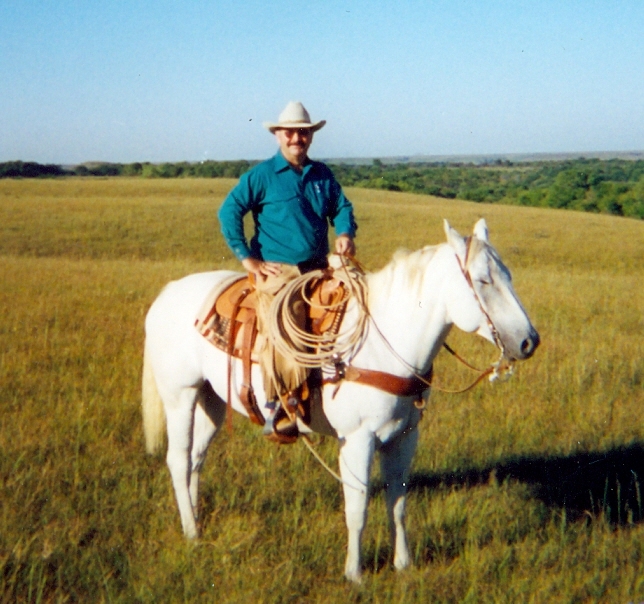 In 2004, he semi-retired and moved to Council Grove KS. In recent years he continued to do consulting in animal nutrition and came back to his roots as an integral member of the Animal Sciences Dept. at KSU. He was preceded in death by his parents and his brother Dennis. Phil is survived by his sons Matt Phar and wife Kathy, of Olathe and Justin Phar, of Overland Park and two grandchildren, Dalton and Paden, along with a host of friends. He will be sadly missed by all. Phil had formed many long time friendships. He will always be remembered fondly by many. Phil was a friend to all humans and animals alike. Ride on Cowboy! A visitation with family and friends will be held Friday, February 15, 2019 from 9:30 – 10:30am, with the funeral services beginning at 10:30; all to be held at Rock Hills Church, 2610 Farm Bureau Rd, Manhattan, KS. Interment will follow at Ashland Cemetery. Memorial contributions may be made to: KSU Animal Sciences and Industry. They may be sent in care of Zeiner Funeral Homes, PO Box 273, Council Grove, KS 66846.